Just like the islands and the people of Lakshadweep those who come to the islanders as traders, tourist etc are wide and diverse, the food cooked and eaten by the islanders as well is also equally diverse and multifarious. The exotic vegetation of the islands provides a variety of vegetarian food stuffs that are cooked with or without spices from nearby Kerala or spice land. The sea-food is also available in plenty and in a large variety from tuna to crab. Thus, the local preparation of vegetarian and non-vegetarian food in Lakshadweep has reached a pinnacle that is a delectable experience when savored in the original setting of the islands. Another stable part of the islanders' diet is rice and rice-based staple products. These too are a lasting influence from the mainland Malabar. Traditionally, all the celebrations and feasts on the island are replete with dishes prepared largely from coconut and rice. Whether sweet or savory the dishes all have a dash of the famous Malabar spices. Thus, coconut milk is the base for most of the curries whether they are vegetarian or non-vegetarian. While rice is the basic medium with which most of the food is eaten other medium like bread and wheat-based naans, rotis, etc are also prepared. Thus, rice along with and most curries form the stable lunch and dinner fare on the islands. Ground rice paste is provided in almost all for the making of idlis, dosas and many such similar preparations which are normally the breakfast, tiffin and snacks among the local people with just a little exotic presentation these food items can be presented even in the best of five star hospitality. The land-locked people of the mainland are often impressed by the huge variety of sea food available on the islands. From sea weed to crab - all feature on the dining tables of the islanders. 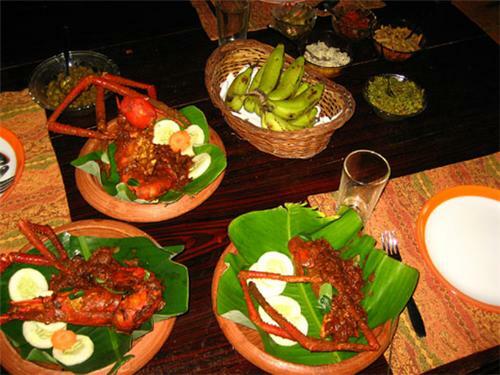 The most interesting feature of the cuisines of the Lakshadweep is that, on the one hand it has elements of the simple tribal processes of steaming and roasting most of the food and on the other are the complex processer of frying, roasting, boiling, basting and sautéing besides the various food items others. Then there is also the difference of adding spices or serving it bland to get all the flavors’ out. There are different forms of cooking among the different communities belonging to different socio-economic affiliations. There is also the segregation on the basis of religion. Where certain recipe are carried across generations. As such the hospitality of the Lakshadweep islanders is world renowned. These days there has been an increasing influence of various other kinds of food that have become the hot favorites among the younger generations. The variations of continental, Chinese, Thai and Korean foods are a great draw and due to the regular influence of tourists from all parts of India and the world there is a huge variety of dishes that are available in the eateries available across the islands. Indian food originating from all parts of India is also very popular among the islanders as well as the visitors and tourists. The Agatti Island Beaches Resort is one of the eating joints very popular among those visiting the Lakshadweep Islands. While a large variety of local and international enjoy the food here. However, the locals and visitors find the more popular Akshaya Mess and Food Court as the eating joint and most popular place for enjoying the multitude of tasty preparations. 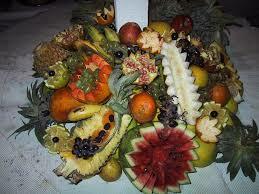 Here the visitors and the locals can both enjoy the excellent quality of Delectable Island and continental fare.